Asthma is a chronic disease that affects the function and lining of the airways or tubes of the lungs. It narrows the airways and makes it difficult to breathe. There are different degrees of asthma. Some children may have mild asthma with rare flare-ups. Others may have a severe, constant asthma. The exact causes of asthma are unknown, but genetics play a role. Tightening of the muscles around the airway and chronic inflammation with swelling cause airways to narrow. This makes it hard to breathe. You will be asked about your child’s symptoms and medical history. A physical exam will be done. The doctor will listen to your child’s lungs. Your child may be referred to a specialist. A pulmonologist focuses on the lungs. An allergist/immunologist focuses on allergies. Your child may be tested for common allergens that may trigger symptoms. This can be done with skin testing or blood tests . Your child's oxygen concentration may be measured. This can be done with pulse oximetry. Images may be taken of your child's bodily structures. This can be done with x-ray . Talk with the doctor about the best plan for your child. You and your child's doctor should also create an asthma action plan. This is a plan your child will follow to help control asthma, handle asthma attacks, and prevent restrictions on your child's activities. Treatment will vary based on age, symptoms, and the number of asthma episodes your child has. It is important that you stick to your child's treatment plan. Exercise may help build lung reserve, so treatment should allow your child to have normal exercise and activity levels, including sports. Know what your child is allergic to and avoid known triggers. These may include certain pollen, dust, foods, and air pollution. Avoid outside activities if there are high levels of air pollution, pollen, or mold spores. Keep your windows closed during seasons with high pollen or mold spores. Air conditioning may help filter out allergens during warm seasons. Consider getting a portable HEPA unit air cleaner to use in sleeping areas, for your heating/cooling system, and your vacuum cleaner. Avoid exposing your child to tobacco smoke. Have proper heating, cooling, and ventilation systems in your home. Keep the humidity down in your house. This may help prevent the growth of mold. In addition to the medications, children should get all recommended vaccinations. Children older than 6 months should get a yearly flu shot . Children with asthma are at a higher risk of having complications from the flu. Have regular follow-up with your doctor. Avoid challenging outdoor exercise during days with high air pollution, a high pollen count, or a high ozone level. If cold weather triggers your asthma, avoid strenuous activities in cold weather. If you must, use a scarf or mask to warm the air before it reaches your lungs. Don't use a wood-burning stove or fireplace, including unvented gas fireplaces. Allergy shots may be considered to reduce reactions to allergy triggers. Your doctor may want to monitor your child at home with a peak flow meter. Asthma in children. EBSCO DynaMed Plus website. Available at: http://www.dynamed.com/topics/dmp~AN~T500326/Asthma-in-children . Updated April 6, 2017. Accessed August 28, 2017. Asthma: kids. Centers for Disease Control website. Available at: http://www.cdc.gov/ASTHMA/children.htm. Updated April 30, 2013. Accessed August 28, 2017. Childhood asthma,. American Academy of Allergy, Asthma, & Immunology website. Available at http://www.aaaai.org/conditions-and-treatments/library/at-a-glance/childhood-asthma.aspx. Accessed August 28, 2017. What causes asthma? National Heart Lung and Blood Institute website. Available at: http://www.nhlbi.nih.gov/health/dci/Diseases/Asthma/Asthma%5FCauses.html. Updated August 4, 2014. Accessed August 28, 2017. 10/9/2009 DynaMed Plus Systematic Literature Surveillance http://www.dynamed.com/topics/dmp~AN~T500326/Asthma-in-children : Mireku N, Wang Y, et al. Changes in weather and the effects on pediatric asthma exacerbations. Ann Allergy Asthma Immunol. 2009;(3):220-224. 10/30/2009 DynaMed Plus Systematic Literature Surveillance http://www.dynamed.com/topics/dmp~AN~T500326/Asthma-in-children : Bernard A, Nickmilder M, et al. Impact of chlorinated swimming pool attendance on the respiratory health of adolescents. Pediatrics. 2009;124(4):1110-1118. 8/23/2010 DynaMed Plus Systematic Literature Surveillance http://www.dynamed.com/topics/dmp~AN~T500326/Asthma-in-children : Beasley R, Clayton T, et al. Acetaminophen use and risk of asthma, rhinoconjunctivitis and eczema in adolescents: ISAAC phase three. Am J Respir Crit Care Med.2011 Jan 15;183(2):171-8. 10/8/2010 DynaMed Plus Systematic Literature Surveillance http://www.dynamed.com/topics/dmp~AN~T500326/Asthma-in-children : Ducharme F, Chroinin M, et al. Addition of long-acting beta2-agonists to inhaled corticosteroids versus same dose inhaled corticosteroids for chronic asthma in adults and children. Cochrane Database Syst Rev. 2010;(5):CD005535. 5/4/2012 DynaMed Plus Systematic Literature Surveillance http://www.dynamed.com/topics/dmp~AN~T500326/Asthma-in-children : Woodfine L, Neal RD, et al. Enhancing ventilation in homes of children with asthma: pragmatic randomised controlled trial. Br J Gen Pract. 2011;61(592):e724-732. 8/27/2013 DynaMed Plus Systematic Literature Surveillance http://www.dynamed.com/topics/dmp~AN~T500326/Asthma-in-children : Kim JM, Lin SY, et al. Allergen-specific immunotherapy for pediatric asthma and rhinoconjunctivitis: a systematic review. Pediatrics. 2013 Jun;131(6):1155-67. 11/2/2015 DynaMed Plus Systematic Literature Surveillance http://www.dynamed.com/topics/dmp~AN~T500326/Asthma-in-children : Normansell R, Kew KM, et al. 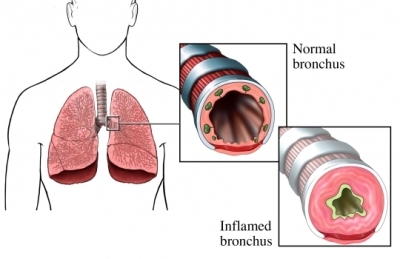 Sublingual immunotherapy for asthma. Cochrane Database Syst Rev. 2015 Aug 28;8:CD011293.